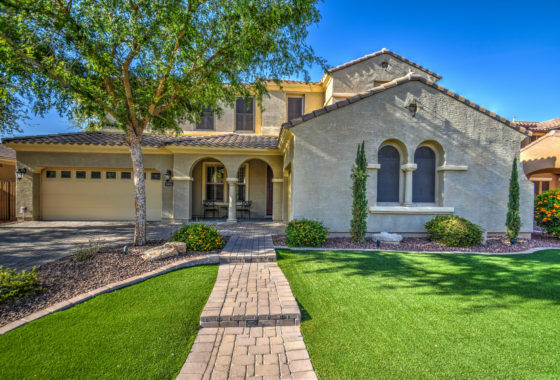 This spacious, well-appointed Gilbert home for sale has been meticulously maintained by the original owners and is situated on a premium lot in the Vincenz community. As you enter, you are welcomed by a sea of wood floors, high ceilings, and bright, open feeling. The gourmet kitchen offers Brazilian Quartz countertops, raised maple cabinets with custom pull out shelving, double ovens, 5 burner induction cooktop (pre-plumb for gas cooktop option), walk-in pantry, RO system, enhanced custom ceiling lights and island seating for 4 that is ideal for entertaining and family gatherings. 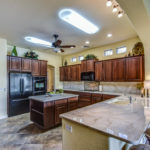 Click HERE to see 50 additional pictures and more detailed info on this gorgeous home. 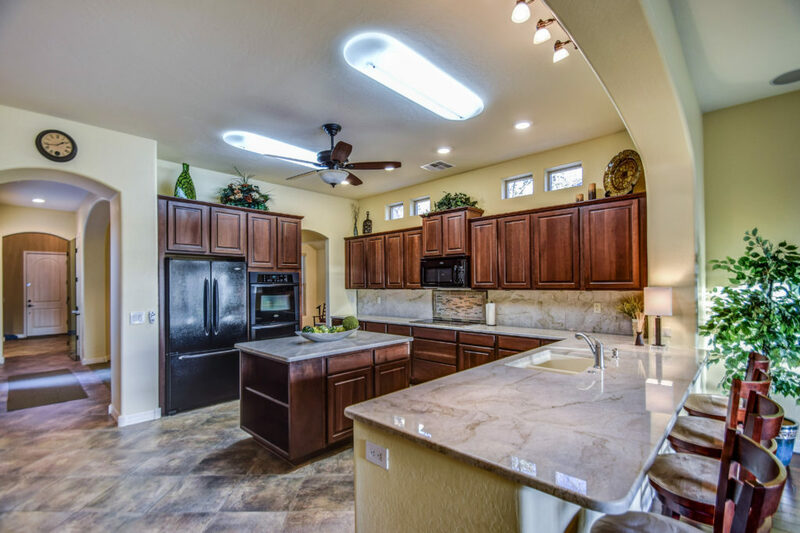 The kitchen flows seamlessly into the expanded great room with a gas fireplace and the 16 X 8 ft sliding glass patio doors open to your backyard oasis. 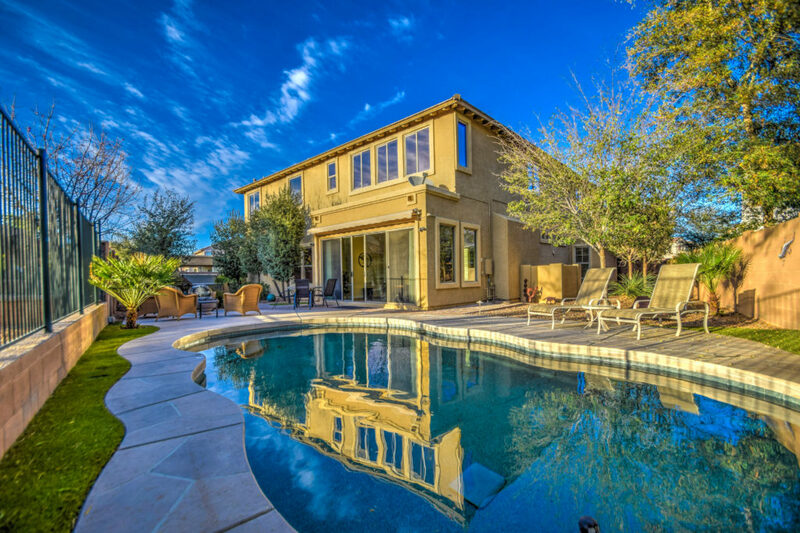 The sparkling pool surrounding by maintenance free artificial turf transitions into the fire pit sitting area where you can catch the epic Arizona sunsets. Nestled in the corner of the backyard retreat is the 8-person spa and ramada. The retreat doesn’t end outside. The master bedroom and ensuite have dual sinks, soaking tub and a massive closet fit for a king and queen. Kids and guess will also feel like royalty with two guest suites. One upstairs and another downstairs. 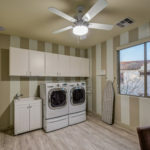 Add the two bonus rooms, upgraded secondary bathrooms, upstairs laundry, central vacuum, mud room, multi-zone energy efficient cooling/heating, water softener, etc. and you’ll understand why there are not enough adjectives to adequately describe this home. In total, the homeowners added over $170k in improvements after purchasing their home. 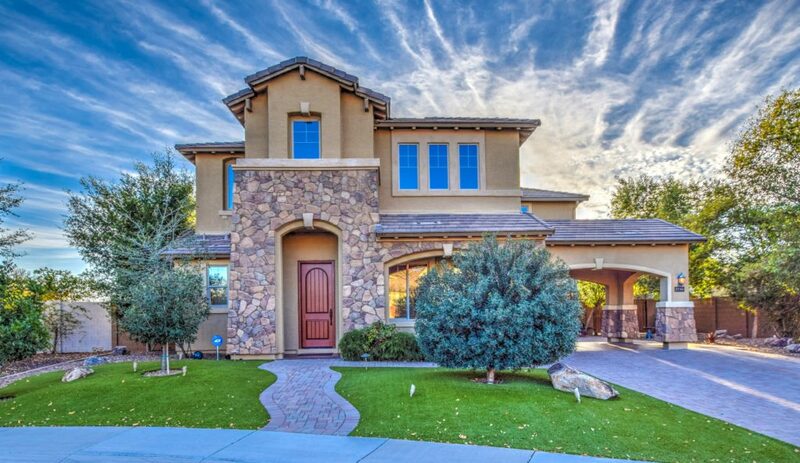 The location of this Gilbert home is as impressive as the structure. It’s steps from 2 community parks and a short walk or bike ride to Discovery Park. Plenty of good schools, both public and charter, are nearby. 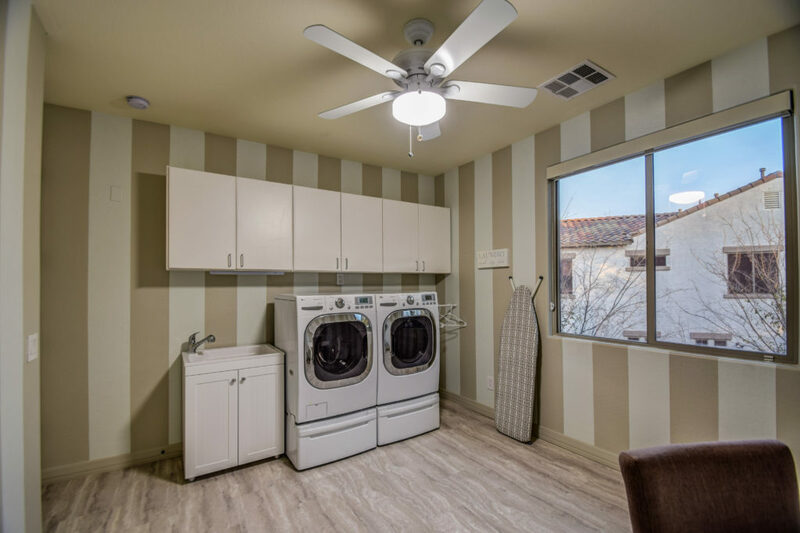 Plus, this home is conveniently located near the 202 freeway, SanTan Village Mall, Harkins Theater, Top Golf, Main Event and more of the best shopping and restaurants options in the Southeast Valley. 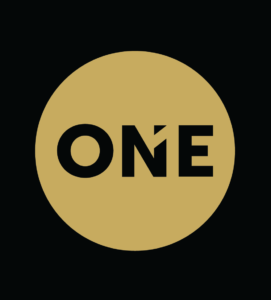 If you are new to the area, you can find out more about Gilbert and the neighboring communities of Chandler, Mesa and Queen Creek here. Previous ListingYour Home Can Be Here!